Looking for Your Dream Home in Eaglesmere? If you have been dreaming of the perfect home in Eaglesmere, call your favorite Robin Real Estate agent and tell them your wants and needs. That special home you are looking for may only last on the market for a short time; some sell within days of their listing. Let us know your requirements, and we will keep our eyes, ears, and computers searching for you. The minute a home meeting your specifications hits the market, we will phone or email you and arrange for a showing at your convenience. You will not be disappointed if you have the Robin Real Estate team working for you! If you are considering a move, NOW is the best time to sell. The time is always right to sell, if your home is priced correctly, clean, in good condition and has been well maintained. The first step is a phone call to our office to arrange for a free no-obligation Market Analysis of your property’s current market value. We will point out all the pluses of your home and suggest ways in which you might increase your home’s sale price. 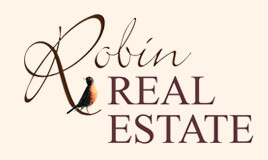 If a move is in your future, call your favorite Robin Real Estate agent today. They are accessible to hobbies or sports they find enjoyable in the beautiful Eaglesmere area (e.g. hiking and mountain biking, canoeing on Eaglesmere Lake, golfing, hunting and fishing, skiing, and antiquing). The homes have wonderful views of nearby mountain ranges, or the trout streams and forest preserves that crisscross Sullivan County. They are located in wonderfully quaint small towns and in exciting urban centers. They can explore the cultural, culinary and entertainment centers nearby. Family and/or friends live close, either part or full time. Robin Real Estate is the local leader in Eaglesmere and the surrounding area of Sullivan County, PA. Call today for a free consultation and let us get started finding your dream home in the mountains!